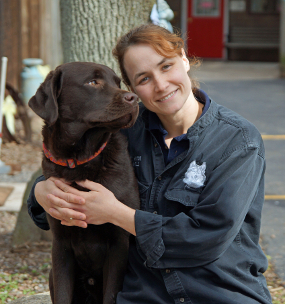 Sarah Reed is a Canine Good Citizen Approved Evaluator, Advanced Pet Care Technician and a Professional Member of the International Association of Canine Professionals (IACP). Sarah has been training all breeds for over 17 years. She frequently attends seminars and workshops to ensure you are getting the best, most updated training techniques available. She teaches you to train your dog and improve your relationship. Four, one hour sessions. Introduce your puppy to very basic obedience steps. Emphasis on socialization, we will also cover handling common behaviors such as playbiting, chewing, housebreaking, basic puppy problems, and more! 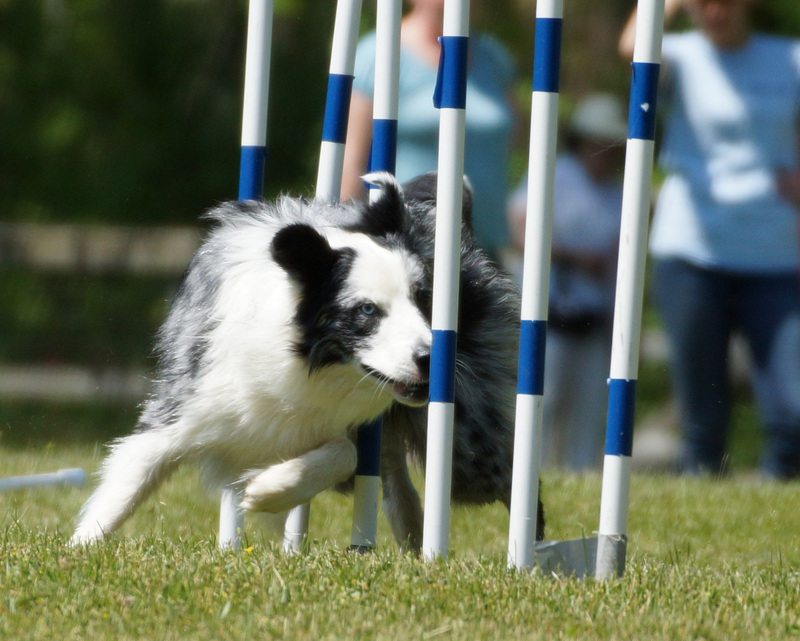 Have your dog trained during 3 weeks of boarding, including two private lessons to complete the training. 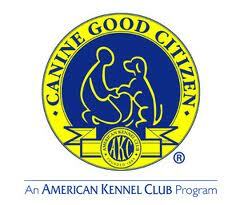 We cover foundation obedience skills. Not for puppies under 8 months. Also will cover common problems such as: jumping, biting and stealing objects. For dogs four months and older. Six-One hour sessions. Off lead training, depending on your dog's readiness. 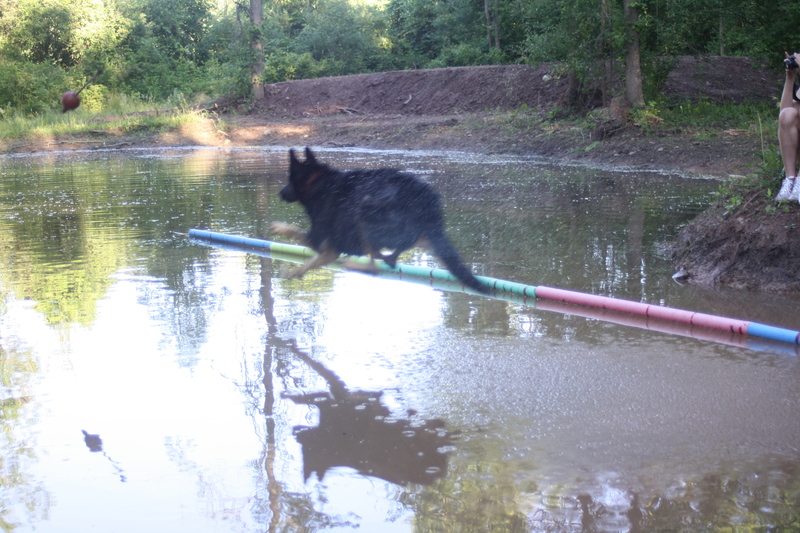 Distraction training, hand signals, retrieving and more. Six- one hour sessions. Beginner and Beyond, have fun with your dog. Building confidence one dog at a time. Group classes Wednesday's. Call to register. Shiatsu massage is designed to condition your dog, which prevents injury in high impact sports such as Agility. This also allows you to become familiar with your dog's body, and what is normal for them, which can help in the detection of some medical problems. These are private sessions, with your dog. This helps them stay calm, as you are taught how to properly stretch and massage your best buddy. Please call to book a lesson today. Does your dog jump on visitors, bark when they hear the doorbell? Then these lessons are for you. You will learn how to stop these unwanted behaviors before your visitors stop coming over. Come and play! Bring your friendly dog for a hour of non-stop action. Dogs are off leash in our 1 acre arena, socializing with other friendly dogs. In the warmer months we finish the day with a dip in the dog pool. Lucky Dogs! Dogs must be spayed or neutered. Must be temperament tested before they can join. Thinking about adding a new member to your family? Sarah can help you decide which pet will fit into your family the best. She can also help with the initial introduction through a meet and greet; Done at Fort Hyde in a neutral environment. Private evaluation and training available by appointment. Dogs live in the moment !